Funko just announced their E3 exclusive POP! figures and among them is a new 8 Bit Mega Man. He’s purple and has the Black Hole Bomb outfit scheme. It is said it’s an E3 exclusive figure but also says it will be available at GameStop. Check it out below! 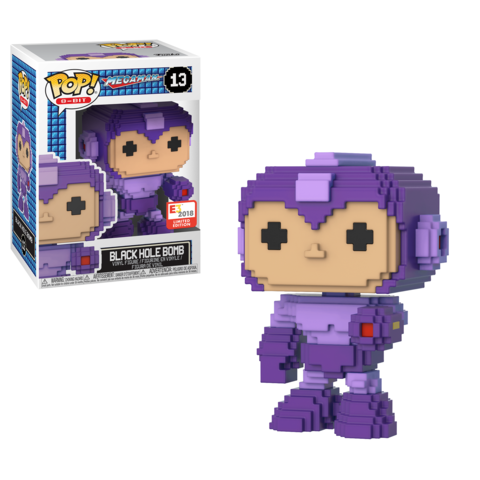 Mega Man has fired off the Black Hole Bomb with this purple 8-bit Pop! Also available at GameStop retail locations!